DEJEAN (Dijean, Dysan, Deian), PHILIPPE (Philip), merchant, notary, office holder, and judge; b. 5 April 1736 in the parish of Saint-Étienne, Toulouse, France, son of Philippe Dejean, a legal officer, and Jeanne de Rocques de Carbouere; m. first 12 Jan. 1761 Josette (Marie-Joseph) Larchevêque in Montreal, Que. ; m. secondly Marie-Louise Augé, and they had three children; m. thirdly 25 Nov. 1776 Théotiste Saint-Cosme in Detroit (Mich.), and they had two sons; d. in or after 1809. The first document attesting to Philippe Dejean’s presence in the New World is the certificate of his marriage in 1761. The Detroit historian Clarence Monroe Burton speculated that he had emigrated from France in 1760 to escape his creditors, but nothing is recorded of his early life. By October 1766 he had established himself as a merchant at Detroit. The Royal Proclamation of 1763, which had initiated civil government for Quebec, had drawn the province’s boundary just west of the Ottawa River, and “the Indian country” beyond it remained under martial law, with justice being dispensed by the post commandants. Detroit had hundreds of settlers and an active commercial life, and it fitted awkwardly into this structure. Its commandants attempted to cope with the volume of legal work by delegating their duties. Thus in April 1767 Philippe Dejean was appointed justice of the peace, notary, tabellion, and vendue master by Captain George Turnbull. His powers as jp were narrowly defined; he could take evidence under oath and could appoint one member to any board set up for settling a dispute by arbitration, but he was to “give no judgment or final award.” Justice by arbitration was inadequate to the needs of Detroit’s merchants, and in July a temporary court was established “to be held Twice in every month . . . to decide all actions of debts, Bonds, Bills, Contracts and Trespasses above the sum of Five Pounds New York Currency.” Dejean was named judge. 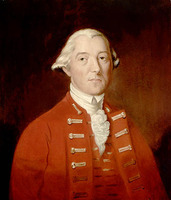 The Quebec Act of 1774 brought Detroit within the boundaries of the province’s civil administration, and Governor Guy Carleton was instructed to establish a court of king’s bench for the settlement and its vicinity. The American revolution intervened, however, and there was a long delay. In the mean time, the lieutenant governor appointed for Detroit and region, Henry Hamilton*, seems to have continued some of the judicial arrangements evolved when the area was under martial law. He recognized Dejean as jp and even condoned the extension of his jurisdiction beyond the limits recognized in English law. Instead of always sending accused persons to Montreal, Dejean empanelled juries, conducted trials, and apparently sentenced several individuals to be hanged. He is said even to have reversed verdicts of juries with which he disagreed. In 1775 and 1776 Governor Carleton’s attention was absorbed by the American invasion of the province, but in February 1777 he sent a warning letter to Hamilton: the lieutenant governor had been given a commission of the peace and warrants had to be signed by him, not by Dejean, “whose authority is not known here.” In the autumn of 1778 a presentment by a Montreal grand jury stated that Dejean had “acted & transacted divers, unjust & illegal, Terranical & felonious acts” and Hamilton had “tolerated suffered & Permitted the same.” The matter was referred to Lord George Germain, secretary of state for the American Colonies. 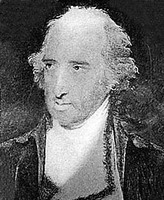 He declared himself willing to excuse their actions if no substantial injustice had been done; like the new governor, Frederick Haldimand, he believed that the wartime crisis justified technical illegality. Meanwhile the arrival of rebel forces under George Rogers Clark in the Illinois country had prompted Hamilton to lead a counter-expedition there in the autumn of 1778. Anxious to obtain a statement from the lieutenant governor that he had been acting on orders, Dejean travelled with the reinforcements that left Detroit in February 1779 for Fort Sackville (Vincennes, Ind. ), where Hamilton was wintering. A surprise attack by Clark resulted in the capture of the fort and the interception of the reinforcements. Dejean, along with Hamilton and a number of others, was sent prisoner to Virginia. He arrived in Williamsburg in June; after four months’ imprisonment he was paroled and he returned to Vincennes. On 28 July 1780 he wrote to the commandant of Detroit and to Governor Haldimand asking that his family be allowed to join him in Vincennes and, still worried about his legal status, he took the opportunity to assert that in his judicial activities he had only been obeying orders. Haldimand refused his request and wrote nothing that would ease his mind about his status. Entries in the ledgers of the Detroit firm of Macomb, Edgar, and Macomb suggest that by November 1780 Dejean had returned to the community and was active as a merchant until January 1782. It is difficult to follow his movements after that date. A letter written from Normandy in 1786 to Governor James Bowdoin of Massachusetts states that Dejean had returned to France, where he had for some time been “much esteemed” by the Marquis de La Fayette, and that he was proposing to relocate in Boston. On the other hand, in July 1790 court proceedings concerned with the appointment of a curator for his estate refer to his having left the Detroit region in 1789 and lived outside British dominions thereafter without informing anyone of his whereabouts. By August 1790 he had returned to Vincennes and may have married for a fourth time, Théotiste Saint-Cosme having died in 1788. Documents relating mainly to the ownership of property connect his name with that settlement until 1809. No record of his death has been discovered. Detroit tradition is hostile to Dejean. William W. Potter is typical in portraying him as “a pompous, pious bungler who was willing to send any suspect to the gallows on short notice for the fee there was in it.” His reputation in the United States has no doubt suffered because of his association with Henry Hamilton, whom American historians in the past have castigated for employing Britain’s Indian allies against frontier settlements during the revolution. Although the evidence does suggest Dejean had a concern with status and a readiness to overstep the bounds of his jurisdiction, consideration of the unusual political and legal environment in which he undertook his responsibilities must mitigate any condemnation. Archdiocese of Detroit, Chancery Office, Reg. des baptêmes, mariages et sépultures de Sainte-Anne (Detroit), 2 Feb. 1704–30 Dec. 1848 (transcripts at DPL, Burton Hist. Coll.). Arch. municipales, Toulouse (France), État civil, Saint-Étienne (Toulouse), 5 avril 1736. DPL, Burton Hist. Coll., Detroit notarial papers, 1737–95, A-D-2; Macomb, Edgar, and Macomb, ledgers, 1778–82. Knox County, Indiana: early land records and court indexes, 1783–1815, comp. J. B. Barekman (3v. in 1, Chicago, 1973). Mich. Pioneer Coll., 3 (1880): 17, 22–23; 9 (1886): 346, 437, 463, 469, 505, 508–9, 513, 647, 649; 10 (1886): 293–94, 336, 410; 19 (1891): 548–51. The territorial papers of the United States, comp. C. E. Carter and J. P. Bloom (28v. to date, Washington, 1934– ; repr. vols.1–26 in 25v., New York, 1973), 7: 336–37. Windsor border region (Lajeunesse). Wis., State Hist. Soc., Coll., 10 (1888): 433. The city of Detroit, Michigan, 1701–1922, ed. C. M. Burton et al. (5v., Detroit and Chicago, 1922). Christian Denissen, Genealogy of the French families of the Detroit River region, 1701–1911, ed. H. F. Powell (2v., Detroit, 1976). Silas Farmer, The history of Detroit and Michigan . . . (2nd ed., 2v., Detroit, 1889). W. R. Riddell, Michigan under British rule: law and law courts, 1760–1796 (Lansing, Mich., 1926). Peter Marshall, “Imperial policy and the government of Detroit: projects and problems, 1760–1774,” Journal of Imperial and Commonwealth Hist. (London), 2 (1973–74): 153–89. W. W. Potter, “Michigan’s first justice of the peace,” Mich. Hist. Magazine (Lansing), 6 (1922): 630–41. Burton Historical Collection Staff, “DEJEAN, PHILIPPE,” in Dictionary of Canadian Biography, vol. 5, University of Toronto/Université Laval, 2003–, accessed April 21, 2019, http://www.biographi.ca/en/bio/dejean_philippe_5E.html.